Start your morning by walking down the block from your student housing at Dobie Twenty21 over to Caffé Medici. Grab a latte as you chat with the barista and then head to class. On your way back home, check out the world-class exhibitions of rare books and artifacts at the Harry Ransom Center across the street from your home. Meet your friends by the Littlefield Fountain on the South Mall to catch up and make weekend plans. Then, head over to Bert’s BBQ for dinner, before ending the night on the patio of the student-friendly Cain & Abel pub. You can wake up on your own schedule in your new furnished home at Dobie Twenty21. 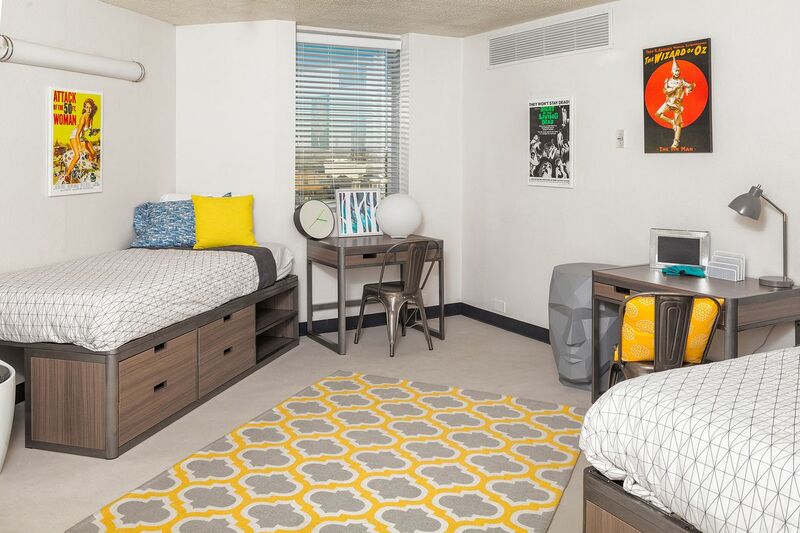 You’ll be based just steps from the University of Texas at Austin, so you can walk around five minutes across the street to campus when it’s time for class. You can also keep your bike in the secure storage area to get there even sooner. After class, stroll back to your room to unwind, and grab your towel from your closet and head to the rooftop pool. Soak up the 360-degree view of Austin as you lay out on the sundeck. Afterwards, get a workout in at the fitness center or on the basketball court, then check out the game room to hang out with your neighbors. Take the elevator to the parking garage and hop in your car to run a few errands around town. When hunger strikes, you can just make a beeline for the food court downstairs or swing by Café Dobie, the on-site cafeteria that offers 10 meals per week to all residents. Afterwards, gather up your laundry and get your clothes clean at the facilities located on your floor. While you wait, take a seat in front of an Apple or PC computer to work on an upcoming assignment in the tech center. When you come home after a night of exploring the famous live music scene, you won’t have to stress out with all utilities included and a 24-hour community patrol to keep you secure. Connect to the high-speed internet to check your messages, and then stretch out on your comfy bed. If you have a room on the upper floors of your new home, you can take in the spectacular views of the twinkling city lights as you drift off to sleep. Book now and receive a $1,000 gift card and waived sign-up fees!Book a 12-month Fall lease now and receive a $1,000 gift card at move in and waived sign-up fees! 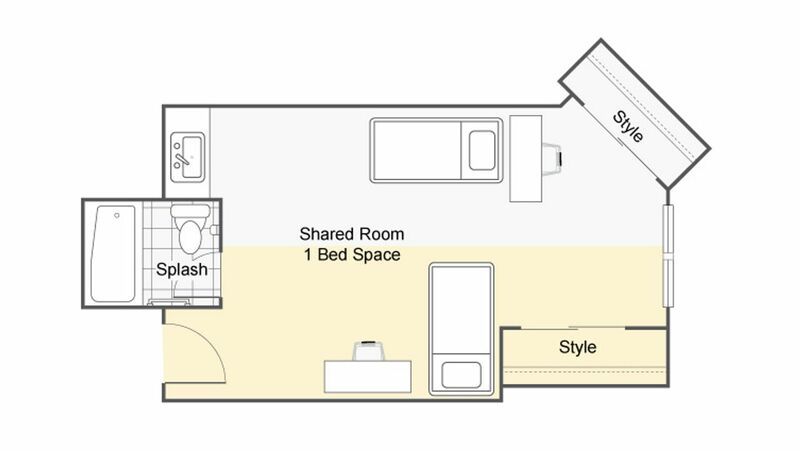 We couldn't find a room that matches your preferencesView all Shared Room in Dobie Twenty21. We couldn't find a room that matches your preferencesView all Private Room in Dobie Twenty21. 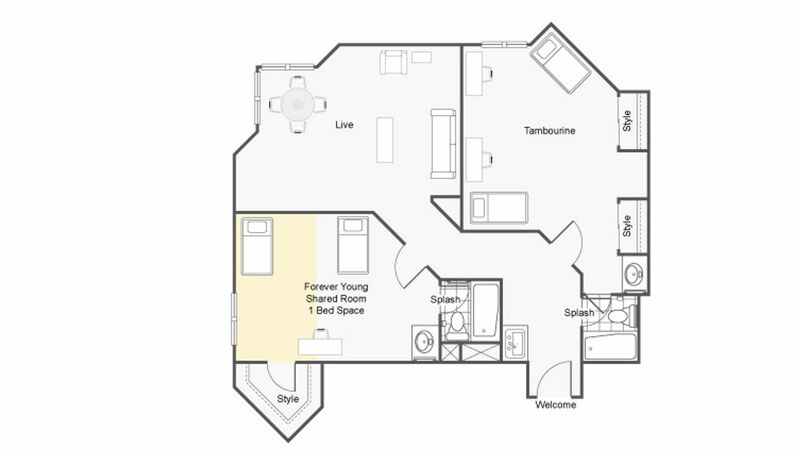 We couldn't find a room that matches your preferencesView all Entire Place in Dobie Twenty21.